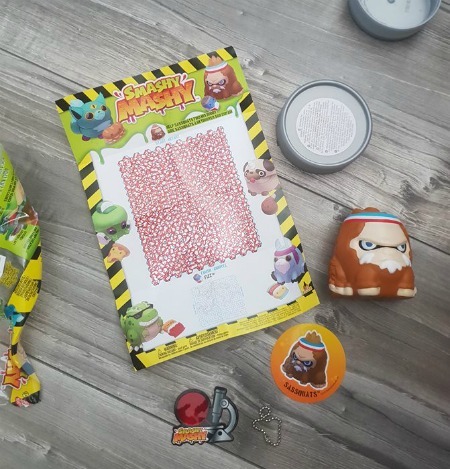 My kids adore blind bags, the surprise element of opening something they have no idea of what’s inside, gets my children’s attention instantly. They love collecting things, and often looking for the ‘rare’ or the one particular favourite they have seen on the list. 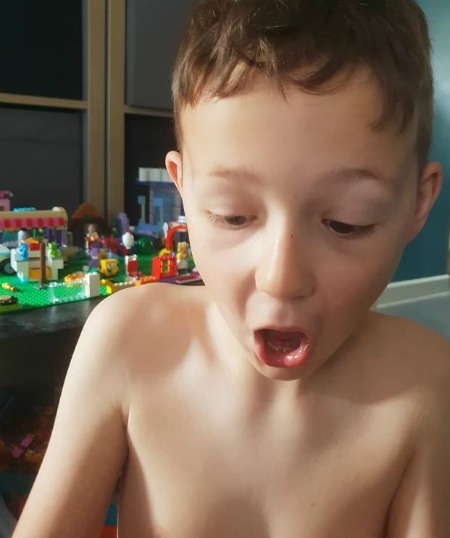 But my son has often been left on the side lines when it comes to blind bags, my daughter has SO much choice in the toy shop but there is often not much for Mark. 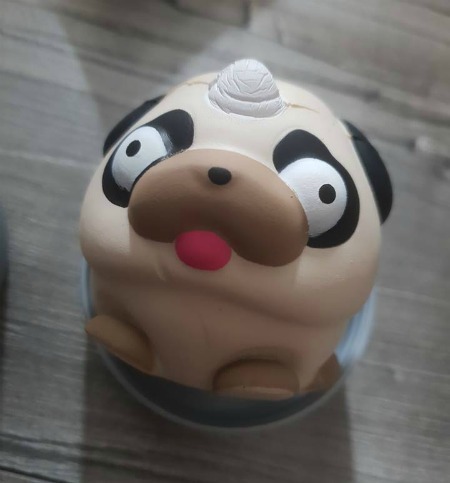 So when Smashy Mashy arrived, I knew he would love these, then I saw that there was a UniPug and knew that would be the ultimate one to find. He is a huge huge Pug fan. 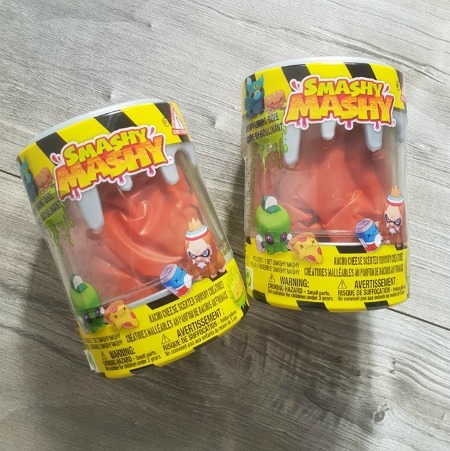 First thing you will notice about the Smashy Mashy toys is the packaging. 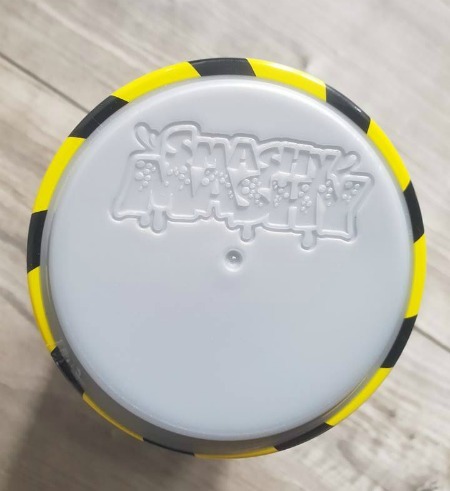 They come in super cool ‘cans’ which have disappearing slime, but fear not as the slime is actually never touched as it stays in the reusable can enclosed in the plastic. Opening them up you get two blind bags, one with the main character inside and one with an accessory. 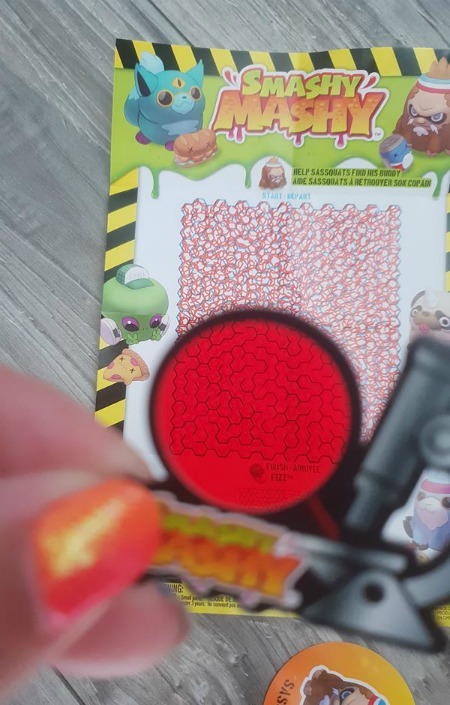 There is also a sticker matching the character inside. There is also a sheet with all the available characters on, with a cool maze on the back and a special viewer to see the secret maze. The actual figure is super squishy, super squashy and smells of….nacho cheese! Yes, really. I was expecting a pungent smell but actually it’s not bad at all and is bearable to my sensitive nose. 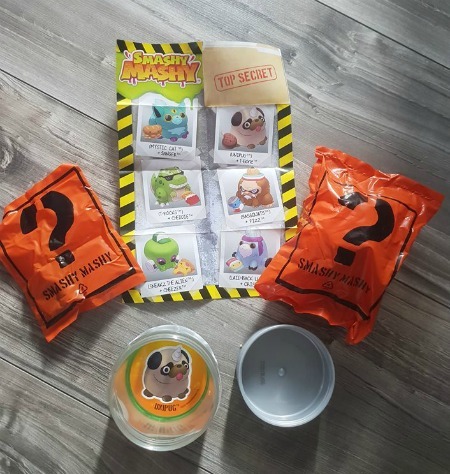 A huge thumbs up for Smashy Mashy, they have made my kids very happy and they can’t wait to collect the rest of the characters. The RRP of each one is £9.99 and they are available from all good toy shops.